IAAPA Chairmanship, check. Gavel is handed over to my successor, David Rosenberg. And I am now going to be history and fade into the oblivion of the IAAPA records. Sitting here, on the plane back to Copenhagen, it is a bit of a bittersweet feeling. On one hand I am incredibly tired, and look forward to gearing down, spending more times with my Liseberg colleagues, and focusing on one, instead of many, things. On the other, I am going to miss my IAAPA family. And although I know that IAAPA is in very competent hands, it feels strange to walk away from all the responsibilities, that have characterized the last year. And it has been busy. Sometimes a little too busy. For both me, and all the IAAPA team members, of which many are new. 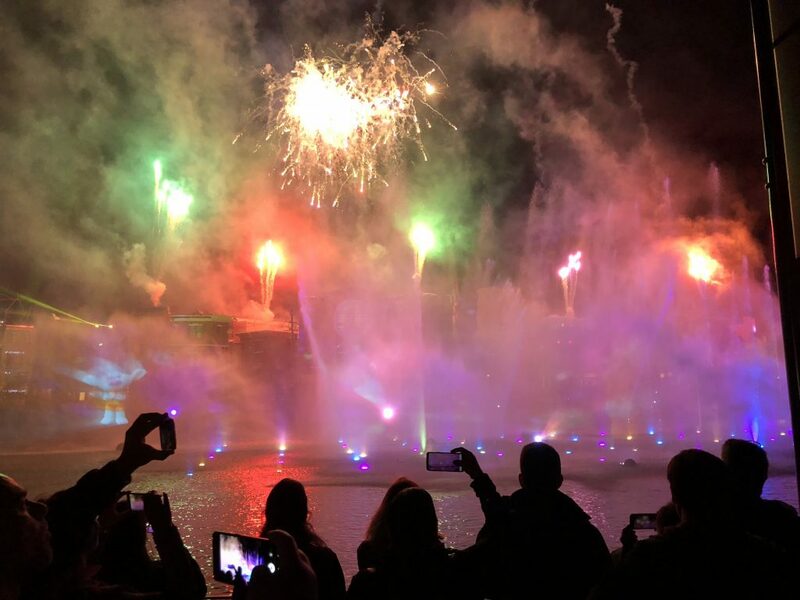 The move to Orlando, the building of a new global HQ, the development of IAAPA’s 5 year strategic plan, the finalization of IAAPA’s new brand platform, the celebration of IAAPA’s centennial, and the search for a new CEO & President, just to mention some of activities and projects, we were working on in 2018. So we sort of had our plate full. But while being the Chairman of IAAPA is a lot less glamorous than you would think, it is at the same time a huge privilege. It is a privilege to head up the hundreds of volunteers that are moving this association forward. Volunteering for an association like IAAPA can be quite rewarding on a personal level – it grows your network and improve your skills – but there is definitely also an altruistic element to this. We all volunteer, because we care. About our industry. And about IAAPA, the association that unites us. For me personally, however, the highlight of this year was really to work with the IAAPA team. The more than 70 global team members, representing 13 nationalities, and working from 7 locations around the world. We as an association is really nothing without this IAAPA team. Our members are the reason for our existence, but the people we employ are the source of our strength. And they should all be very, very proud of everything we accomplished this year. I am. It was a good year. But it may be equally a good thing, it is over. PS: This blog will carry on, but under the Liseberg- rather than IAAPA umbrella. Happy reading. Thanks for another interesting blog Andreas, hope to see you in 2019.